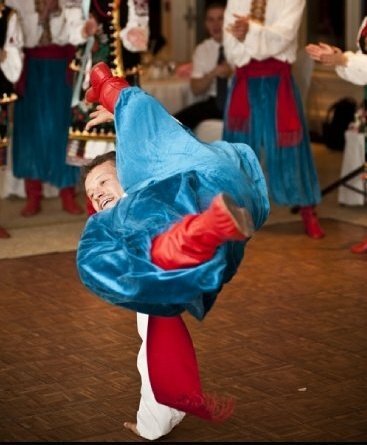 The following two videos are professional group MAK from Toronto. 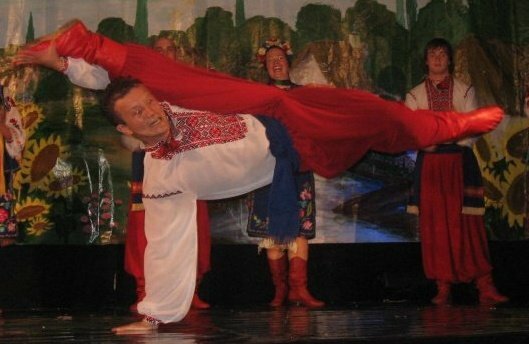 It is Stefan Kuziw's choreography and he does tricks in all of these dances. Troika Festival, Erie, Pennsylvania. Memorial Day-2011. 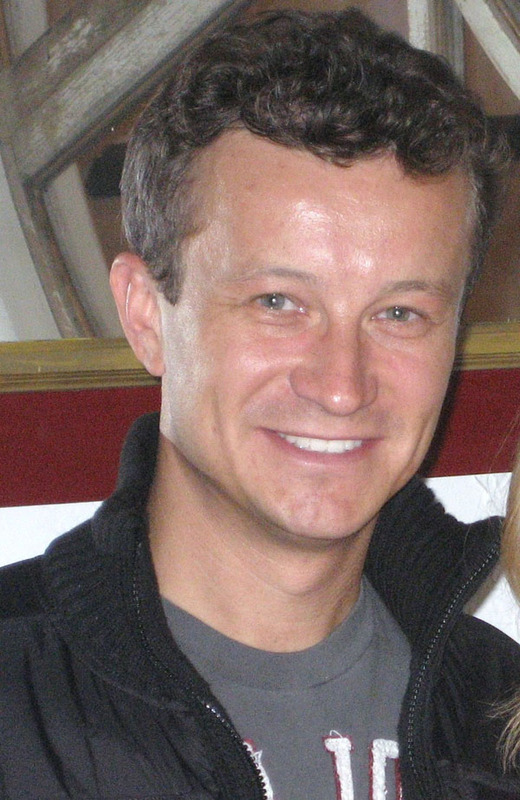 Stefan Kuziw. 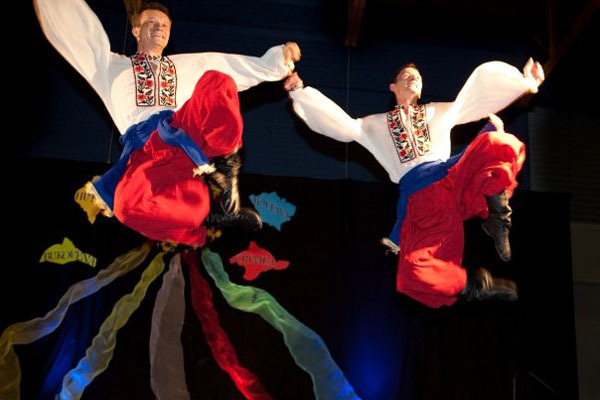 View all photos and videos from TROIKA Festival organized by the Church of the Nativity in Erie, PA.
Mikhail Smirnov, Lev Zabeginsky, Valentina Kvasova, Natalia Ejova, Ksenya Hentisz, Stefan Kuziw, Mikhail Nesterenko, Danila Sherstobitov, and Alexey Maltsev performed three shows during the Fourth Annual Slavic Festival in Eugene, Oregon. 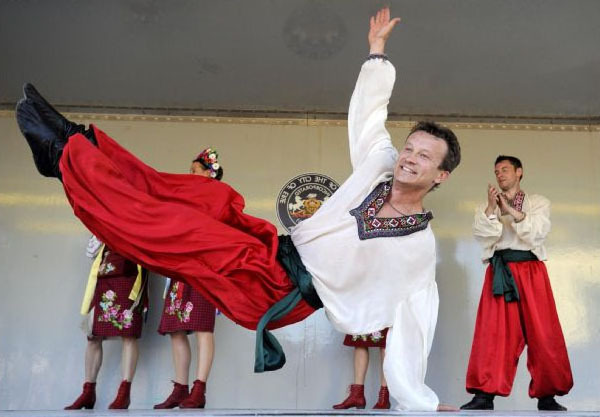 Festival was sponsored by Slavic Home. 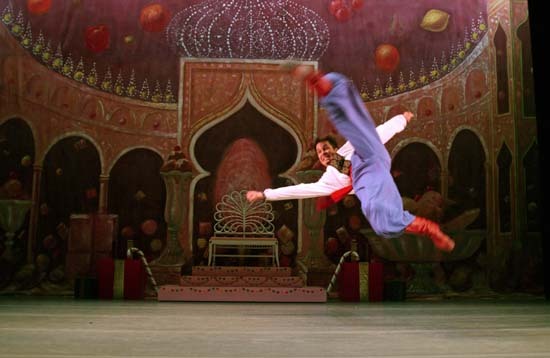 On the photo below ensemble Barynya is performing Daniel Cooper dance. Stefan Kuziw, Mikhail Smirnov, Victoria Pichurova, Valentina Kvasova, Olga Chpitalnaia, Natalia Ejova, Mikhail Nesterenko, and Roman Lewkowicz photos from Slavic Cultural Festival that took place on September 29, 2007 at the McLean Community Center, 1234 Ingleside Ave., McLean, VA. Ensemble Barynya shared the stage with the Kazak Family Trio of Belarus, the Bandura Tells of Ukraine, and local organization, the Washington Balalaikas Society Orchestra. He was a leading dancer-soloist in the Desna Ukrainian Dance Company for more than 10 years, a dancer-soloist and assistant director of the Yavir School of Ukrainian Dance for five years, and has participated in the Verkhovyna Ukrainian Dance Workshops conducted by the late Master Teacher and choreographer Roma Pryma Bohachevska. 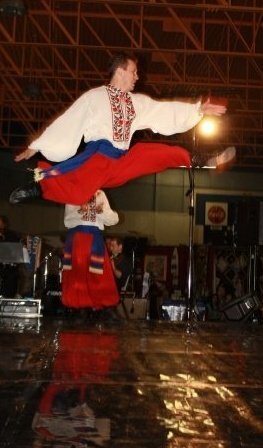 Mr. Kuziw had the honour of performing with the Virsky Stars during their 2001 tour and perhaps at the highlight of his dance career he rehearsed and performed with the Virsky Ukrainian National Dance Company in Kyiv, Ukraine. The Virsky influence and distinct character is recognizable in Vatra’s choreography. 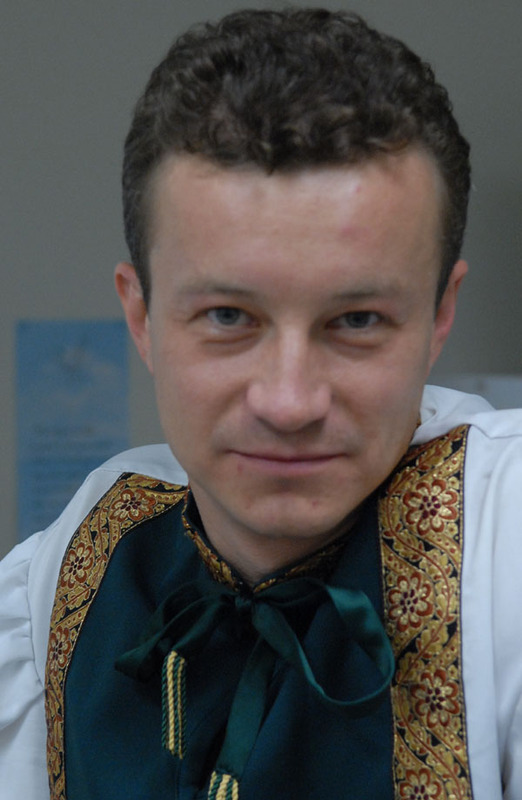 Stefan Kuziw is Artistic Director of Vatra Ukrainian Folk Dance Ensemble in Brampton, Ontario. 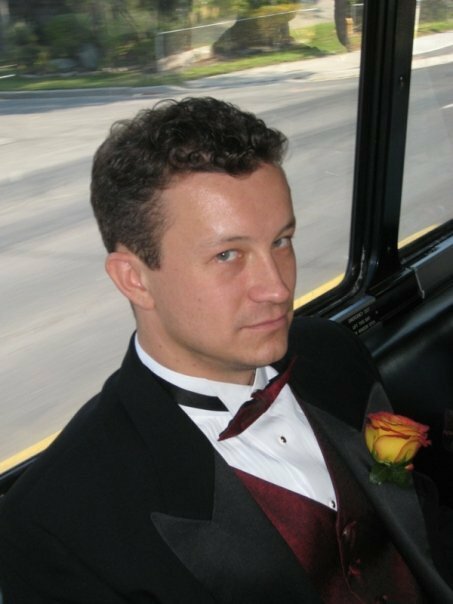 In 2007 Stefan was invited by his friend Andrij Cybyk to perform with New York based ensemble Barynya for a OHIO 2007 summer tour.